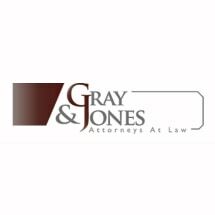 The criminal defense lawyers of Gray & Jones, in Bryan, provide aggressive, effective representation for individuals who have been charged with DWI and other offenses in Bryan, College Station and communities throughout Central Texas. Recognized for our commitment to excellence and backed by attorneys certified in criminal law by the Texas Board of Legal Specialization. With attorneys on staff who have experience as assistant district attorneys, our clients get the benefit of aggressive representation with an in-depth knowledge of the prosecution strategy. Our lawyers have a successful record representing minor-aged students attending Texas A&M University or other colleges in Central Texas. If your student is facing criminal charges and possible expulsion from school, call us for aggressive local representation. We offer a free initial case evaluation and accept all major credit cards. Call 24/7 at 979-314-0112. College Professor - Business Law, Torts, Civil Lit., Law Office Mgmt. Most DWI/DUI clients at the central Texas law firm of Gray & Granberry, Attorneys at Law, are first-time offenders. The attorneys at Gray and Granberry, Attorneys at Law defend all types of criminal cases, from shoplifting to murder. Many people, especially college students, think that possessing a small amount of marijuana for personal use is not a crime. They are wrong! The lawyers at Gray & Granberry, Attorneys at Law understand that many people become addicted to prescription drugs after a hospital stay or a serious illness or injury. A conviction for possession of cocaine or delivering cocaine - including crack possession - carries serious penalties.